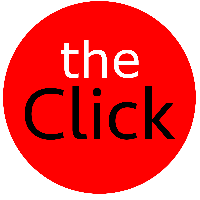 The Click – Page 1140 – Photojournalism, Photography, Art, Culture. The Best Links, The Coolest Stories. There are few products that have had as profound an effect on their category as the T90 had on the modern SLR, not the least of which is the interface paradigm that it introduced and which is copied almost verbatim on every SLR (and many point and shoots) on the market today, 20 years later. Some parts of it interface are common-place on many products beyond cameras as well, such as Blackberries. White House Chief of Staff Andrew Card was enough of a realist to see that two negative aspects to Bush’s public persona had come to define his presidency: incompetence and arrogance. Card did not believe that Bush was incompetent, and so he had to face the possibility that as Bush’s chief of staff, he might have been the incompetent one. In addition, he did not think the president was arrogant. But the marketing of Bush had come across as arrogant. Maybe it was unfair in Card’s opinion, but there it was. He was leaving. And the man most responsible for the postwar troubles, the one who should have gone, Rumsfeld, was staying. “It’s getting to the point now where there are 800-900 attacks a week. That’s more than a hundred a day. That is four an hour attacking our forces,” Bob Woodward told CBS television in an interview to be aired tomorrow night. The Pentagon’s latest quarterly report on Iraq, presented to Congress and posted on the defence department website on September 1, shows the number of attacks rising to 792 a week in August. However, that figure includes attacks on Iraqi civilians, infrastructure and Iraqi police as well as US and coalition troops. Iraqi civilians suffered the majority of casualties. Woodward argues the administration routinely glosses over such news from the ground, as well as intelligence predicting further deterioration in Iraq, because they collide with Mr Bush’s convictions. Speaking today in the courtroom of Judge Francis J. Darigan Jr., David Griffith, whose brother Scott died in the blaze, said that “all of us have been victimized a second time” by the plea deal. The agreement provides that Jeffrey A. Derderian, 39, be sentenced to 500 hours of community service, but no jail time. His brother Michael, 45, would receive four years in jail. The warning is described in Bob Woodward’s “State of Denial,” scheduled for publication on Monday by Simon & Schuster. The book says President Bush’s top advisers were often at odds among themselves, and sometimes were barely on speaking terms, but shared a tendency to dismiss as too pessimistic assessments from American commanders and others about the situation in Iraq. Secretary of Defense Donald H. Rumsfeld is described as disengaged from the nuts-and-bolts of occupying and reconstructing Iraq — a task that was initially supposed to be under the direction of the Pentagon — and so hostile toward Condoleezza Rice, then the national security adviser, that President Bush had to tell him to return her phone calls. The American commander for the Middle East, Gen. John P. Abizaid, is reported to have told visitors to his headquarters in Qatar in the fall of 2005 that “Rumsfeld doesn’t have any credibility anymore” to make a public case for the American strategy for victory in Iraq. Last month, more than 70 news organizations signed a nine-point pledge supporting the national reconciliation plan of Prime Minister Maliki, promising not to use inflammatory statements or images of people killed in attacks, and vowing to “disseminate news in a way that harmonizes with Iraq’s interests.” Days later, the police barred journalists from photographing corpses at the scenes of bombings and mortar attacks. Since then, policemen have smashed several photographers’ cameras and digital memory cards. Some news executives express support for Al Arabiya’s closing. “It is the right of the Iraqi government, as it combats terrorism, to silence any voice that tries to harm the national unity,” said Mr. Sadr, of the Iraqi Media Network. The academy was intended as a showcase for U.S. efforts to train Iraqi recruits who eventually are expected to take control of the nation’s security from the U.S. military. But lawmakers said yesterday they feared it will become a symbol of a different sort. You’ve finally reached the end of the f*ckin’ internet, dude. This is the home of the greatest band in the world, Metal Skool. DO NOT BE FOOLED by pale imitations of other imitations. We’re the best imitators of the best music in the history of music, 80’s metal. We play songs by Whitesnake, G&R, Poison, Winger, Warrant, Motley Crue, Bon Jovi and more. Here. And on MySpace, Here. It worked. After making a splash on YTMND, the Lohan Facial, as it was dubbed, popped up on eBaum’s World. While YTMND includes author credits with each clip, eBaum’s World didn’t bother to give Lutz a shout-out. “What really pissed me off was that they placed their own watermark on it,” Lutz says, “as if they created it.” Bauman says he was simply indicating that his site was hosting a video that had been submitted without a watermark. But Lutz was hardly alone in his anger. For years, contributors to viral-media sites including Something Awful and Newgrounds had reported similar treatment. “There’s a history of [eBaum’s World] screwing over other authors and other sites,” says YTMND founder Max Goldberg. Kazakhstan: land of superstition, religious intolerance, political suppression and goats. Wrong. Kazakhstan is actually a country of metals and machinery, an outward-looking, modern nation with a stable economy that attracts foreign investors to its cosmopolitan capital. The Kazakh government took the unusual step yesterday of publishing a four-page colour supplement in the New York Times in what appeared to be in part an attempt to head off the fallout from a satirical film due out in November. Borat: Cultural Leanings of America for Make Benefit Glorious Nation of Kazakhstan is the latest work from Ali G creator Sacha Baron Cohen. The film lampoons the central Asian nation through Borat Sagdiyev, a Kazakh journalist who travels to the US to report on local customs. Plot Synopsis: When a liquor store owner finds a case of “Viper” in his cellar, he decides to sell it to the local hobos at one dollar a bottle, unaware of its true properties. The drinks causes its consumers to melt, very messily. Two homeless lads find themselves up against the effects of the toxic brew, as well as going head to head with “Bronson” a Vietnam vet with sociopathic tendencies, and the owner of the junkyard they live in. Abu Mohammed described jumping into houses as a tactical move that the Mahdi Army often uses because its members know U.S. troops rarely remain long inside a neighborhood. “We didn’t want to confront them,” he said. When Abu Mohammed returned to his home, enraged, he fired at the houses of his Sunni neighbors, even though they were not Egheidat. A Sunni neighbor, on hearing the gunfire, came out clutching an AK-47 assault rifle. “I shot at him,” said Abu Mohammed. “He bent down, and the bullet struck his mother in the arm. Then I walked out into the neighborhood and shouted: ‘Any Sunni I see in the street is my enemy. No Sunni will stay in Tobji. The Sunnis are infidels.’ ” Egheidat tribal leaders denied any involvement in the attack on the checkpoint, blaming radical Sunni insurgents seeking to deepen the divisions in Tobji. “We’ll pay 10 times the amount — not four times, as tradition dictates — if what they are saying is true,” Egheidi said, referring to blood money. The reconciliation meeting was postponed. That night and the following day, the streets lay silent.